I'm preparing my desk for some serious snail mail activities. 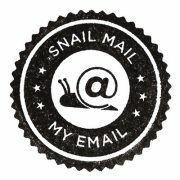 I'm a volunteer for the second 'snail mail my email' this week. I will turn an email into a beautifull letter. I will write twenty letters this week! Look here for updates.